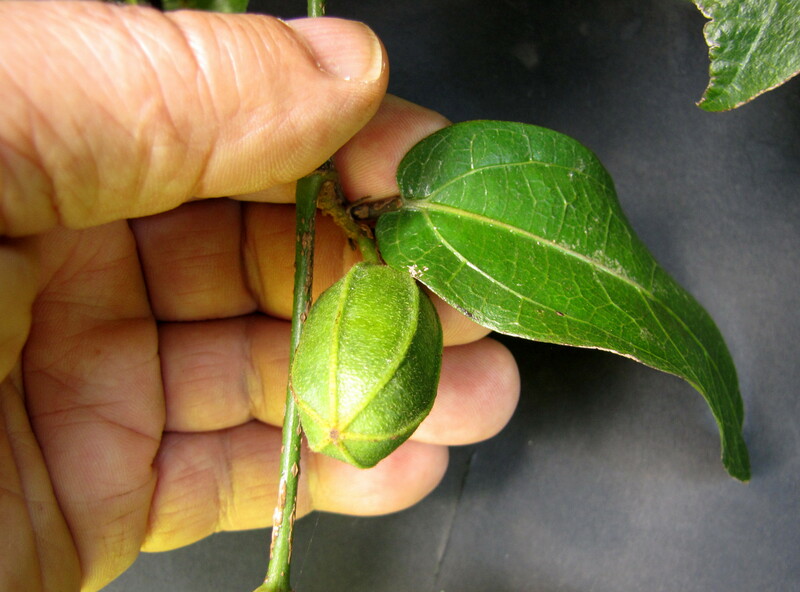 We have planted a number the Near Threatened* Richmond Birdwing Butterfly vines Pararistolochia praevenosa as part of our restoration work. 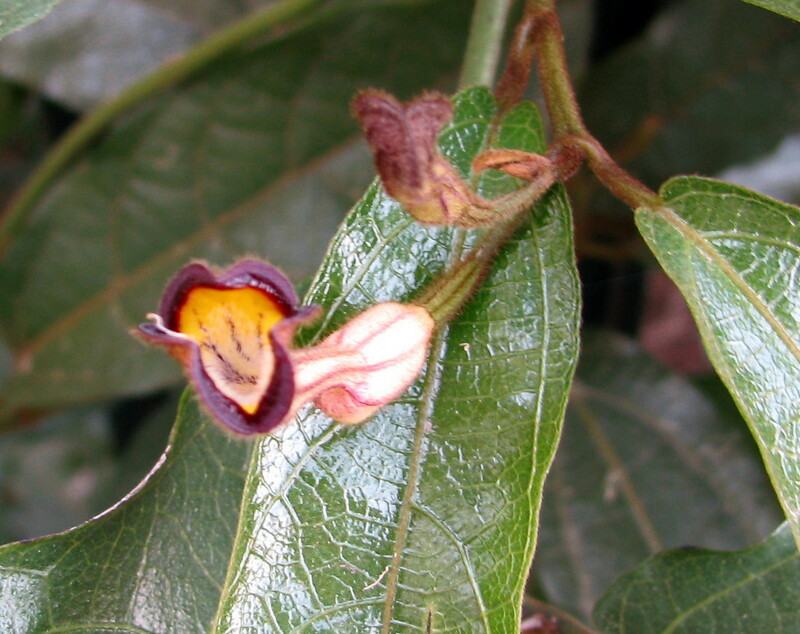 Pararistolochia praevenosa is listed as Near Threatened under the Nature Conservation Act 1992 so it was exciting to find seed pods on one our vines this week. The vine is quite attractive with a pretty flower that apparently depends on a very small fly for pollination. The fly has to enter a tiny hole to pollinate these small (2 cm) flower s.
We have not seen any Birdwing Butterflies yet, however now we know we have the insects that pollinate these vulnerable vines, I am looking forward to having the butterflies return. 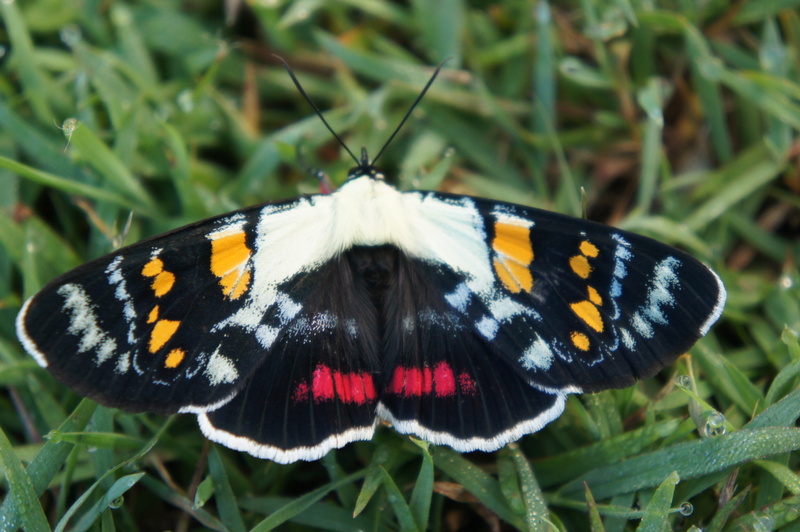 Don Sands, Richmond Birdwing Conservation Network, reports that the butterflies were common in the Brisbane area in the past. 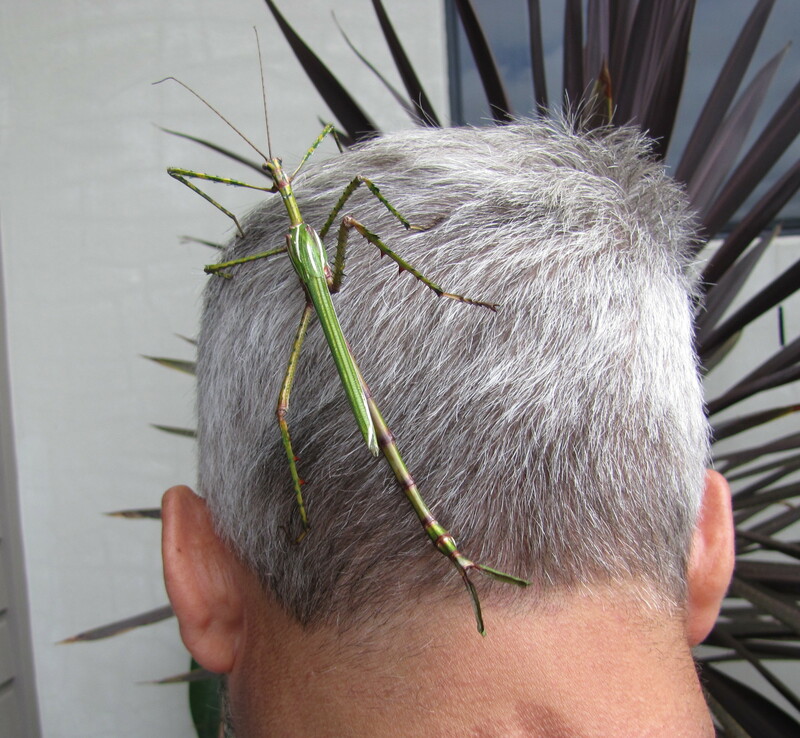 Pete The Vet – Pete Wedderburn, emailed recently asking permission to use my photo of the Goliath Stick Insect Eurycnema goliath in an article in his local newspaper. The interesting thing is that Pete The Vet lives in County Wicklow, Ireland and has a regular column in Bray People, the local Bray newspaper. Our Fox Gully wildlife is becoming world famous, featuring in the article Stick insects thrive without special attention… but multiply! The article is very funny however the message is important – Don’t release exotic pets, this includes unwanted kittens, in the wild. 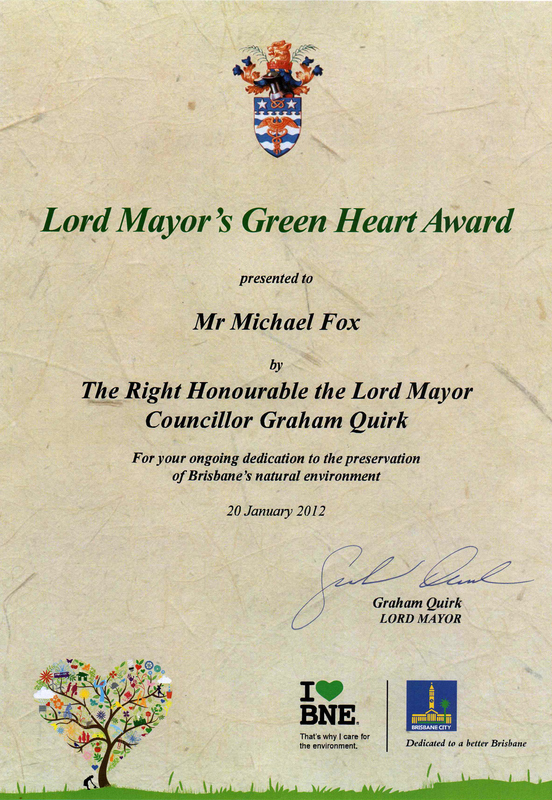 Feral animals and roaming domestic pets are one of the key threats to wildlife in Mt Gravatt Reserve. I have an answer for at least one species. We saw these strange shadowy shapes in the Poison Peach Trema tomentosaone one night in November. On investigation we found two Noisy Minors Manorina melanophrys cuddled together. With their heads tucked in they were almost impossible to identify. 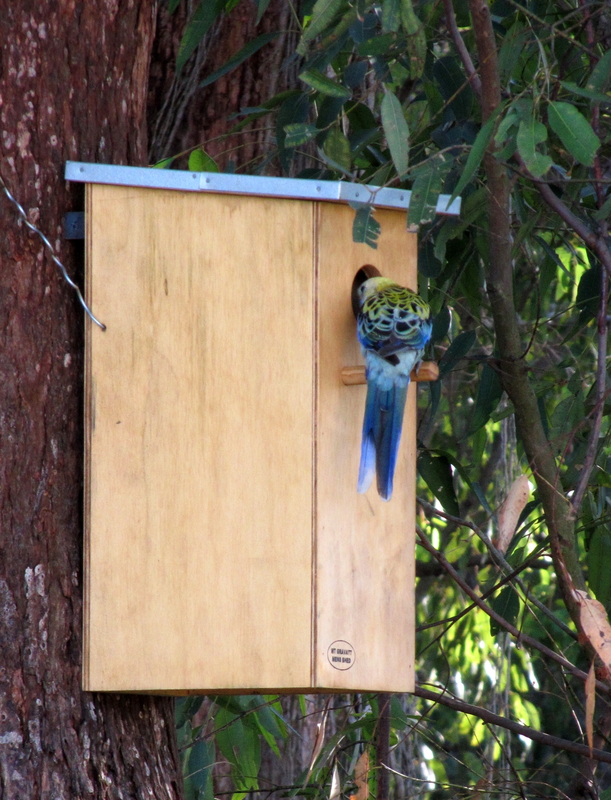 We had the third inspection of the new Men’s Shed nest box this morning. 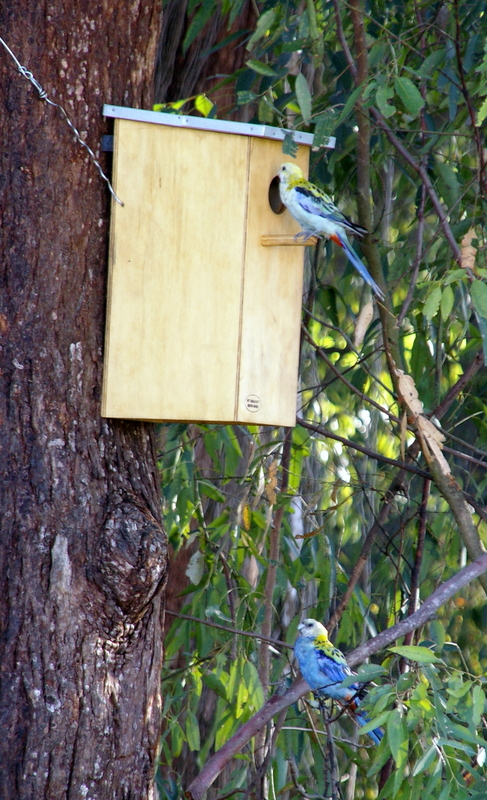 A pair of Pale-headed Rosellas gave the box a good looking over – climbing on top, looking inside and checking the corner joins for quality. This box is made for Pale-headed Roselas based on design specifications from Hollowlog Homes: size/depth of box, size of entry hole, perch and internal ladder. However when first installed we had the box facing west. We have now moved it round to the southern aspect: recommended, and the box is now close to branches which the Pale-headed obviously like, as they used that to get close before landing on the box. We are hoping that this couple move in soon. 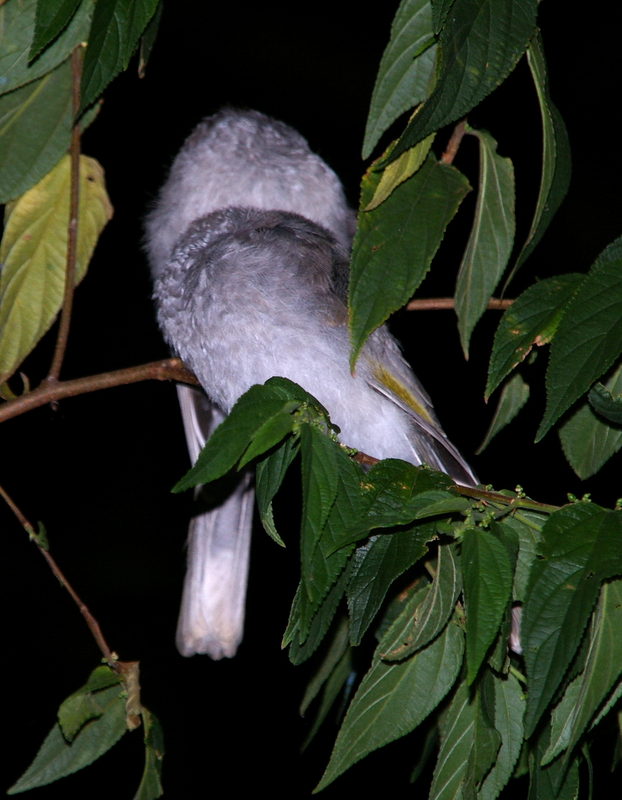 However, from talking to others I understand that these beautiful birds are very picky about their accomodation. A friend on acerage in Flagstone told me that it was two years before a pair of Pale-headed Roselas occupied his nest box but they have been back every year since. We will have to be patient. 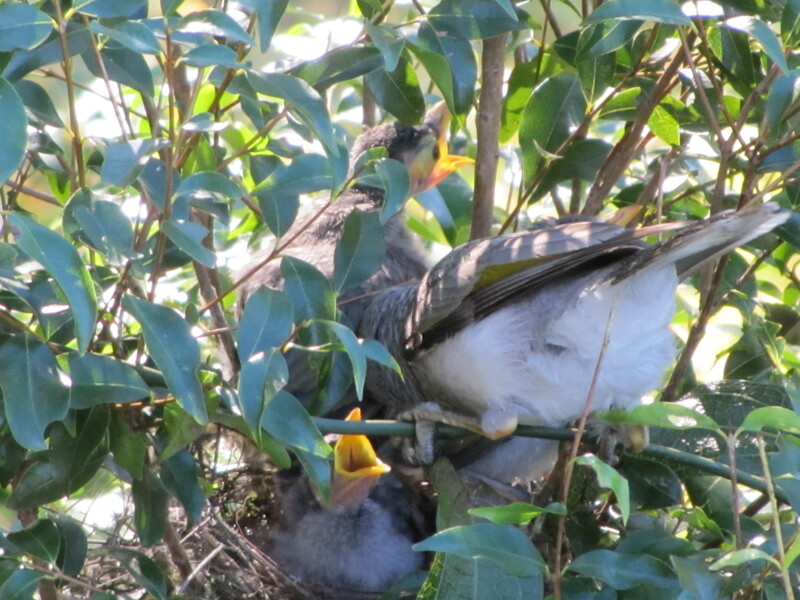 Ten days on and the Noisy Miner chicks are growing. 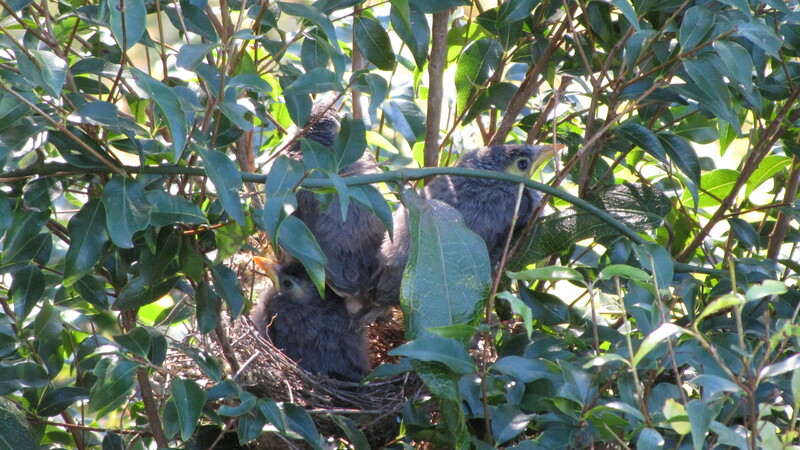 The little balls of fluff have grown and it is getting crowded in the nest. The two bigger chicks walk all over the baby. You need space when you want to stretch your new wings. 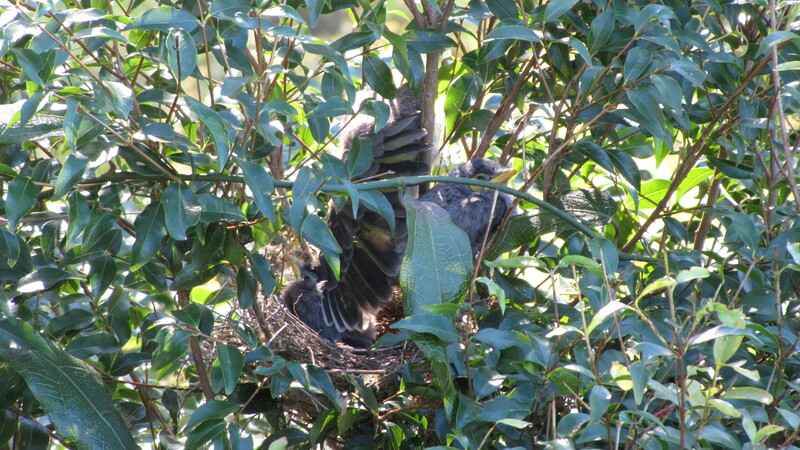 They are almost fledglings with two showing off their wing feathers but Mum and Dad are still on feeding duty. Filling those gaping beaks is a full time job. Watch the 11 Aug video. Waking up to a Koala climbing into the house is special. Knowing that this is a sign of a strengthening Koala population in our special piece of suburban bushland gives me a real feeling of hope for the future. Koalas are only one fauna species in a reserve where we have already identified forty-five butterfly species and two hundred and fifty-four native plant species, however, they are one of our iconic Australian animals. 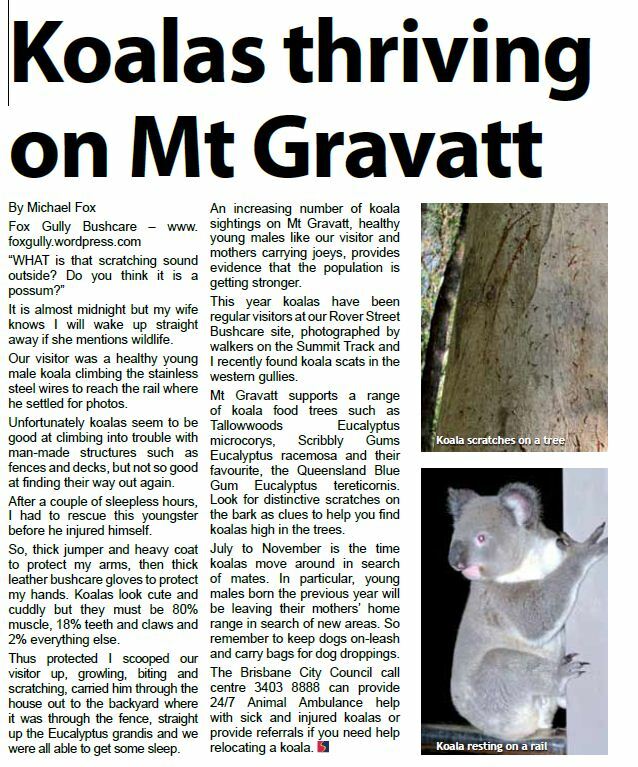 Koalas will help us not only protect our special piece bushland they will also help change the way people think about the future. I write about birds, butterflies, Koalas and frogs because community members relate to these animals at a direct emotional level. They open their hearts and allow themselves to learn about the complex web of interrelationships that bring our mountain habitat alive with these special creatures. We have been collecting flora and fauna data for some years and I have now started a wildlife sightings database to capture more accurate information on species, date/time and location. This female and joey were photographed by Sue Jones on the northern slope of the mountain in 2009. 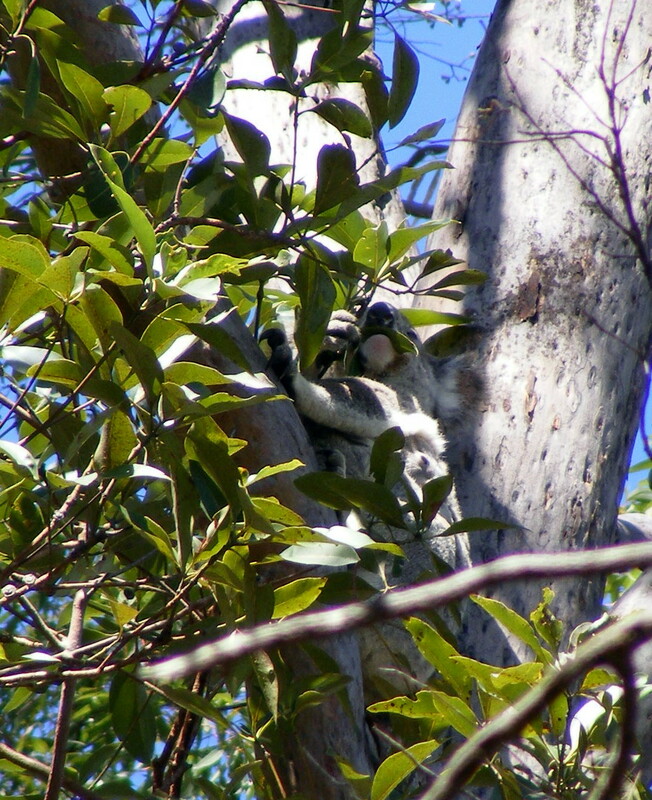 We also have photographic evidence of Koalas near Gertrude Petty Place, Rover Street Bushcare and Fox Gully Bushcare. 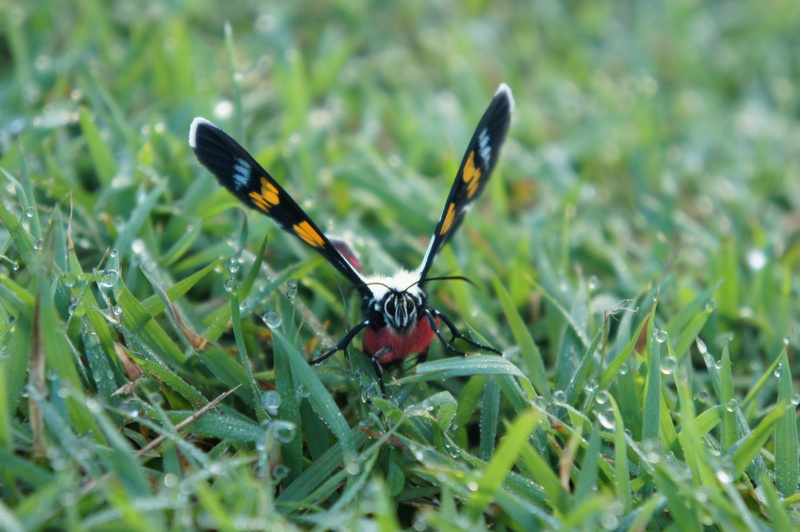 Photos and location details of Echidnas, Squirrel Gliders and frogs, as well as, some unusual bugs are all contribution to our knowledge of the Reserve. 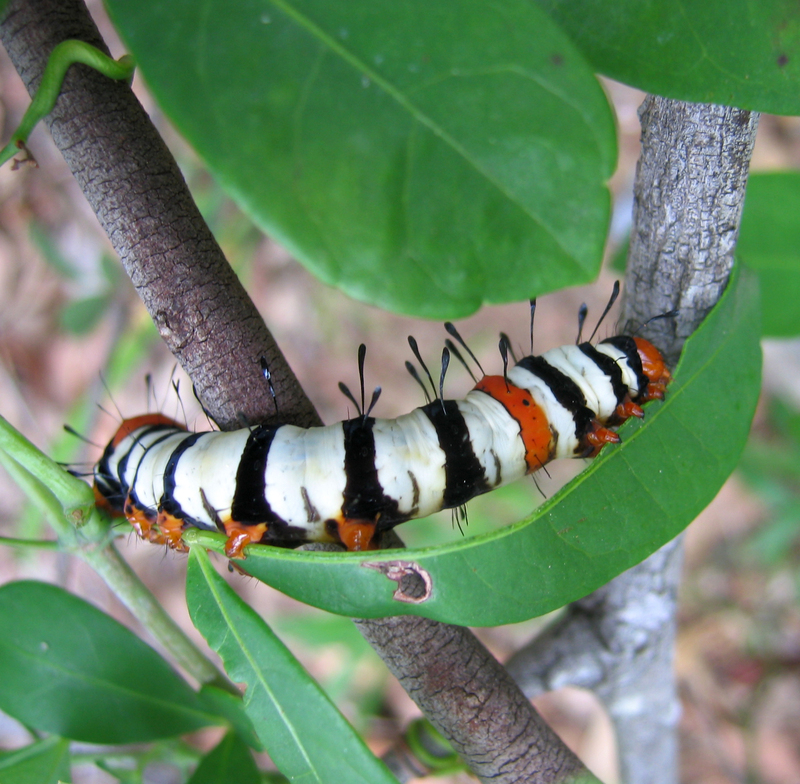 The BAAM team will also use any data we collect for the Flora and Fauna Assessment project. Please email any wildlife sighting details, species, date/time, location preferably with digital photos, to megoutlook@gmail.com Infomation on dead wildlife is also important as it helps build up a picture of wildlife movements and potential dangers like vehicles and domestic dogs.